There is the conference room screen, there are one-panel sign displays, there is the tinny sound of a laptop speaker – and then there is experiential design. Experiential design gets beyond the one-dimensional. It has the potential to sweep people into a memorable, multi-dimensional experience. Whether it’s a museum, airport, or some other high-traffic public venue, experiential design has some key elements to consider. AV Integrators are in a position to be the guiding force in working alongside experience designers to help clients build out interactive storytelling environments. Let’s take a look at these key elements and explore how AV integration and experience designers can work together in harmony. It all starts with content. Clients will know what content they want to display, it’s our job as integrators to figure out how to deliver that message in a consistent and compelling manner. Since the message is being carried over multiple media sources and likely moves people through a beginning, middle and end point as they are physically moving through the interactive space, the content will need to flow seamlessly. 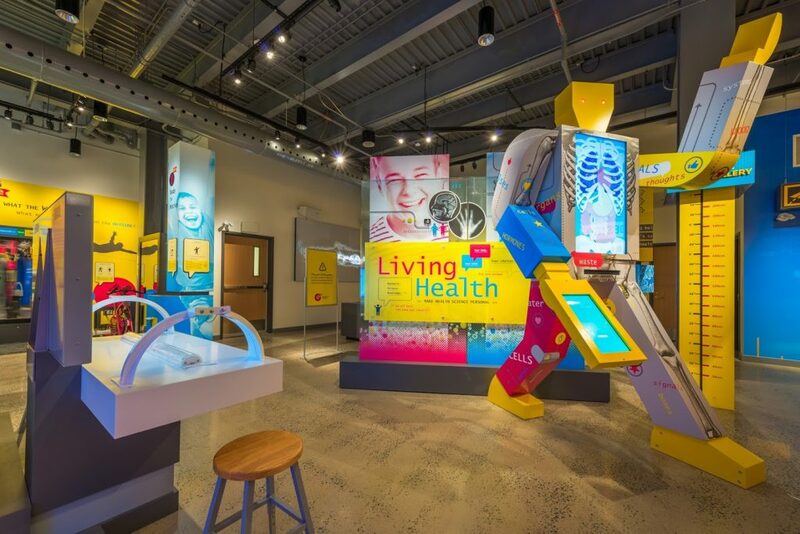 Integrators are implementers in charge of taking the story our clients want to tell, and bringing it to life in the experiential design installation. Our clients and designers will have potentially grand visions for the experiential design environment. Working within your budget, what design elements are most important to you? Will this be an installation of smaller screens that lead people through a series of interconnected experiences? Or will there be multiple video walls that immerse people in one larger unified experience? Is it a single timeline wall, or is it a larger space where the intent is to lead the target audience through a buying journey? Experiential design should get people’s attention, but it should not get in the way. It might be tempting to create a big wow factor – and there’s nothing wrong with that if it serves the overall goal of the installation. Of course, in addition to being visually stunning, experiential design Installations need to provide something useful to the target audience. The experience may be geared toward educating or entertaining, or a little bit of both. It should solve a problem or provide the user with a sense that this was time well spent. Planning AV solutions for all sorts of situations in all sorts of spaces requires paying attention to the environment. Where is this experiential design situated? is there an abundance of natural light, or is it in a windowless room? What are the room dimensions? Understanding layout, flow of foot traffic, window and doorway configurations, all will have some bearing on how the space will be utilized in terms of experiential design. Integrators bring a valuable perspective for how the wider environment will affect the overall experience. Additionally, we work with our clients to ensure that the experience design of the space is physically accessible for the target audience. A learning environment for children will look very different from a space geared toward quantum physicists. For children, displays will be placed lower, and the interactivity will likely be an even stronger consideration. At the end of the day, our job as integrators is all about user experience. How does the target market interact with the experiential design? It needs to be simple and intuitive, but also engaging and something people want to spend time with. The target audience should find experiential design intuitive. They should be able to move through the experience always with a clear sense of where they are headed next. With these elements taken into consideration, the knowledge and expertise of an integrator helps in the planning and execution of an experience design installation. Working in harmony will not be a difficult goal to achieve – and there’s no reason it should not be an expected outcome.